Elephants are powerfully strong and can be fierce with their impressive tusks, lions stalk and hunt with deadly precision, Grevy’s zebras can kick hard enough to break a lion’s jaw, but none of them can defeat a bullet. In northern Kenya’s Samburu County, firearms have become a major threat to Africa’s iconic wildlife. This can be intentional—poaching, retaliatory killings, and even malevolent target practice—or unintentional, as when conflict erupts between livestock raiders and herders, catching wildlife in the crossfire. 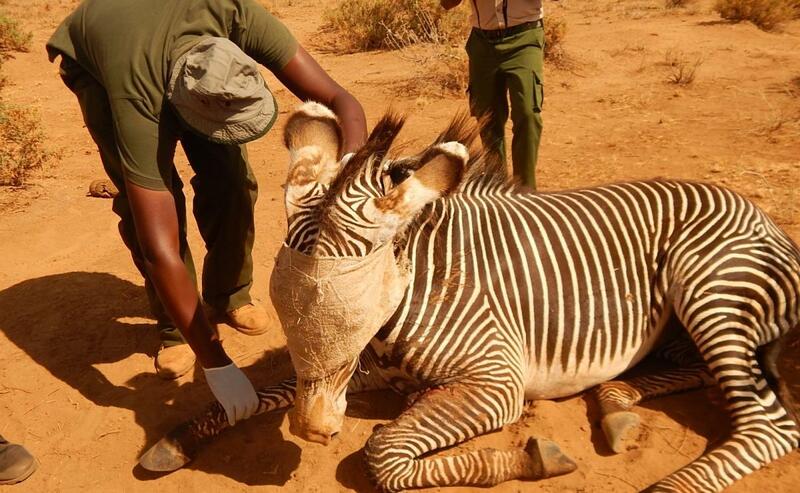 Frequently, these animals are merely wounded and could live if given proper medical treatment, but in the entirety of Samburu—almost the size of New Jersey—there is not a single veterinarian. There is only one vet from neighboring Lewa available for Samburu’s wildlife. A small group of dedicated conservationists and donors are about to change this. 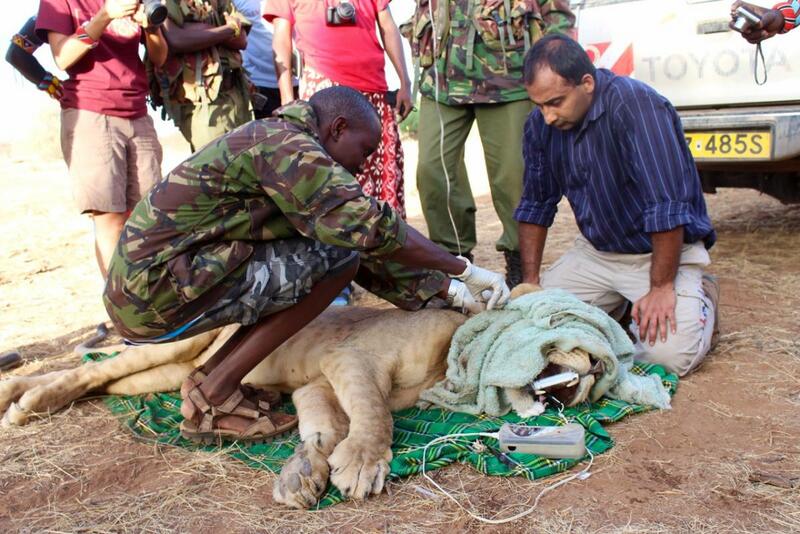 Emergency veterinary care is crucial to conservation work in Samburu. It allows injured wildlife a chance to survive and can reduce pain for animals that are suffering. The regional vet in Lewa is qualified, but overstretched, it is impossible for him to respond to every emergency in time to treat a sick or injured animal. Conservationists also rely on the veterinarian to help them track and monitor wildlife movements. Tracking an animal requires the use of a GPS radio collar, which can only be attached if the animal is sedated. It is legally imperative that a trained veterinarian be responsible for darting an animal with sedatives, remain present as conservationists fit it with a collar, and revive it when they’re finished. Conservationists can spend months, sometimes years, waiting for the perfect opportunity to collar a lion, for example, only to miss the chance because the vet is unable to arrive in time. The problem is clear, Samburu needs a veterinarian. For WCN’s three Samburu-based partners—Ewaso Lions, Grevy’s Zebra Trust, and Save the Elephants—limited vet access seemed like an insurmountable problem…until now. These WCN partners connected with a group of donors eager to make a strong impact for conservation; they have pledged to build the support needed to hire a vet for Samburu. Veterinarians are employed by the Kenya Wildlife Service, who require a 5-year commitment—amounting to a $527,000 budget—a major commitment for both partners and donors. Though not all the capital has been raised yet, the plan is already underway—a long-time WCN supporter has generously funded the initial setup costs for equipping a veterinary lab and obtaining a vehicle. This collaboration represents how the WCN network functions best, connecting conservationists and donors to solve problems and protect wildlife. The deep unity and strength between WCN’s three Samburu-based partners and their donors’ valuable investment embodies one of the biggest hallmarks of the network: we’re stronger together, and together we can make a difference. A group of dedicated donors is helping to bring critical, veterinary care to WCN’s three Samburu based partners—Ewaso Lions, Grevy’s Zebra Trust, and Save the Elephants. You can join them and help make this possible; all donations made via this link will go through Save the Elephants for the Samburu vet project.